Kamani coffee table. This is a pretty special, unique slab. 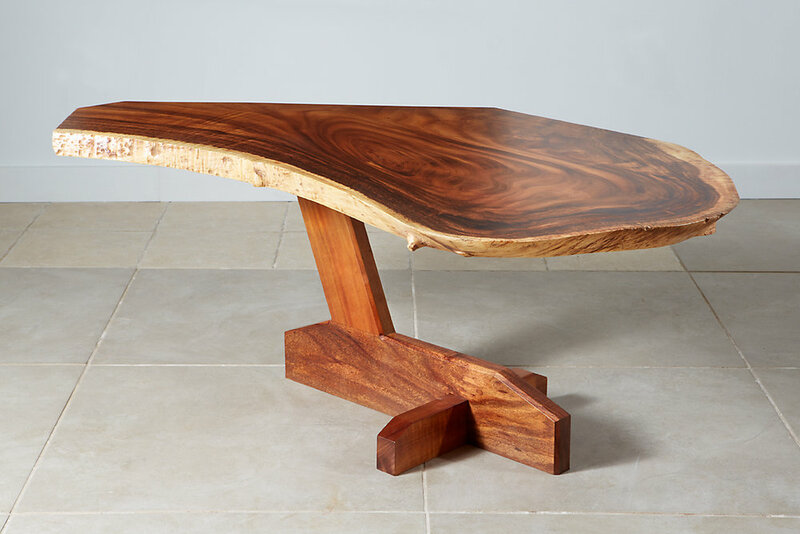 Monkeypod slab coffee table with Australian Blackwood and Hawaiian Koa base. White oak and walnut bedside table. Mango coffee table stained ebony. Curly pommele legs with a midcentury design. Photo taken at Waimanalo Beach, about ten minutes away from the Rust & Root studio. Monkeypod "cookie" coffee table. This slab is a cross-section of a monkeypod log that fell in Oahu's Waimea Valley. There are two small mango bow ties stitching a crack together, and tapered monkeypod legs for the base. Monkeypod, mango and Norfolk pine coffee table. 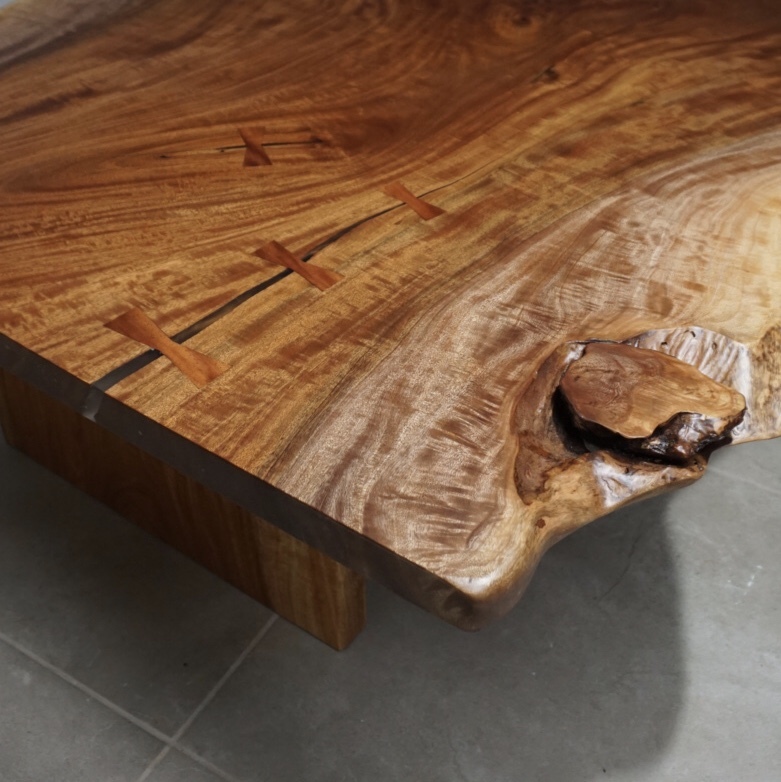 Monkeypod coffee table with curly koa strip down the center. Classic tapered four leg base. Kamani coffee table. We didn’t flatten this slab because it wasn’t thick enough, so you can see the little bend on the straight edge. Another monkeypod cookie coffee table. We love making these. 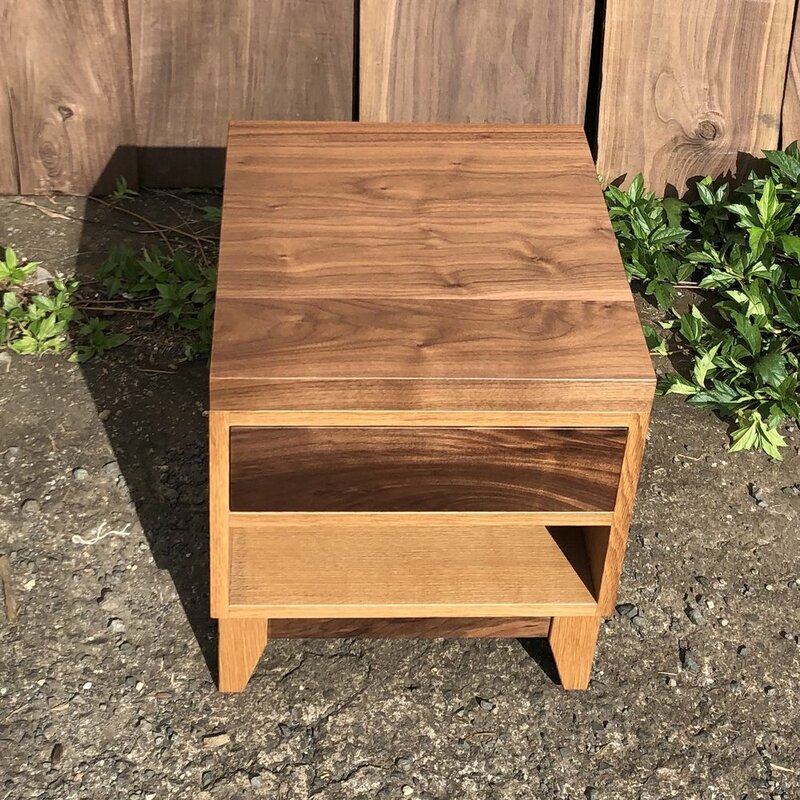 White oak and walnut side table. Check out that tight fit on the inset drawer! 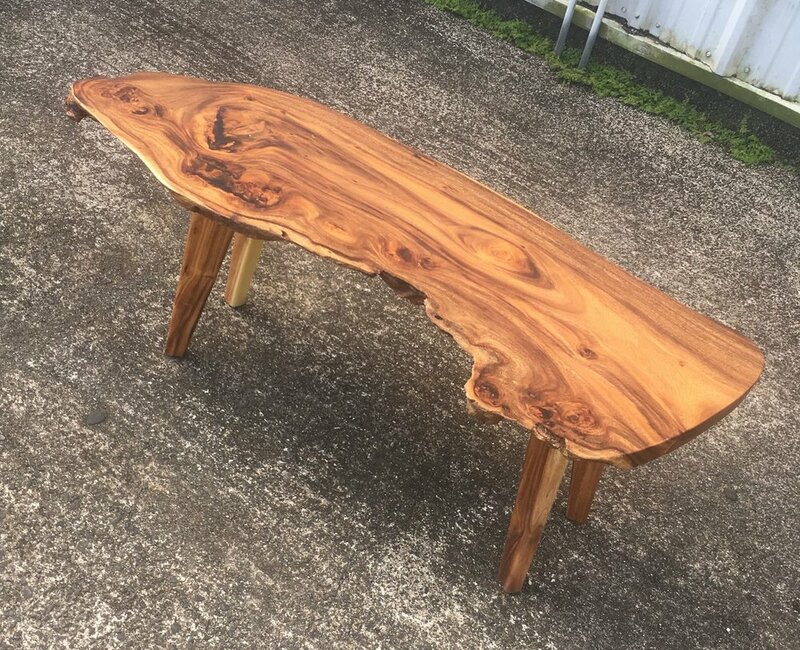 Koa coffee table. 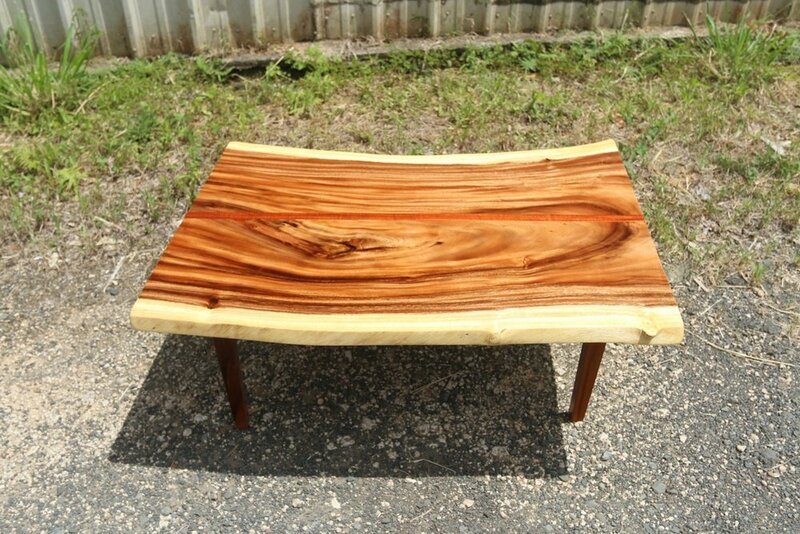 Made with curly koa veneer top and solid koa legs. 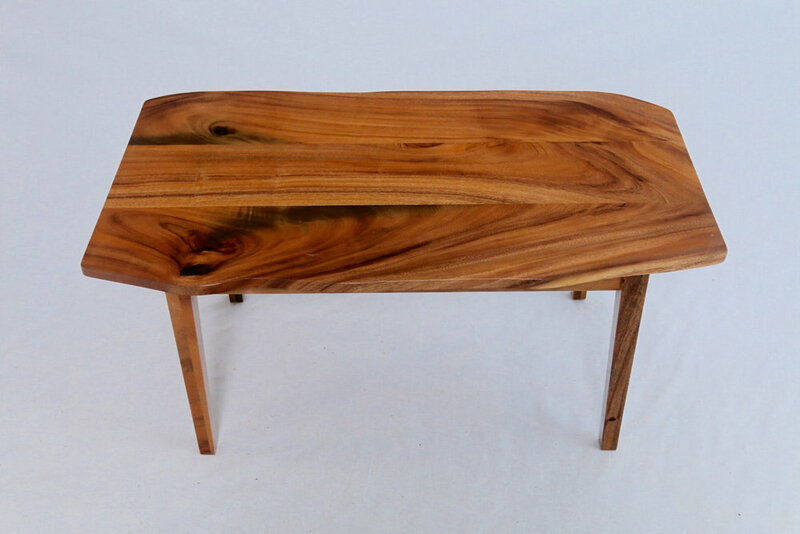 Monkeypod live edge slab coffee table with walnut base. 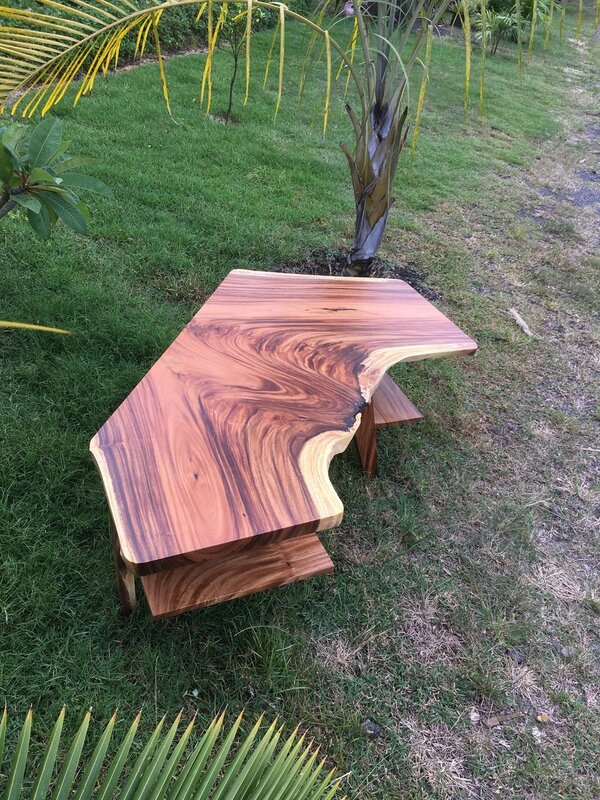 This coffee table is in use at the Hawaiian Islands Cafe in Waimanalo! Formosa koa live edge top with curly red koa stripe down the center. Monkeypod base. Monkeypod coffee table with a custom base designed to fit the strange shape and keep the table stable. Shelves added for storage underneath! Classic simple monkeypod coffee table. Hint at a natural edge and slim tapered legs. Monkeypod slab coffee table with metal hairpin legs.